Pest Control Sandy Plains, GA | Bug-Off Exterminators, Inc.
Pests can overrun your home, and they can damage your property. You need to hire an experienced pest control technician. At our company, we only hire expert technicians. All of our technicians are registered professionals. Our technicians will always handle the issue in a professional manner. Our technicians can work in any environment. We know that bugs have nests in dark places. We can remove pests from homes and commercial buildings. We have been in the pest removal business for several decades, and keeping your space free of pests is always our priority. The staff is very friendly and knowledgeable of their products. I highly recommend them to anyone in need of an exterminator. They do a great job!!! 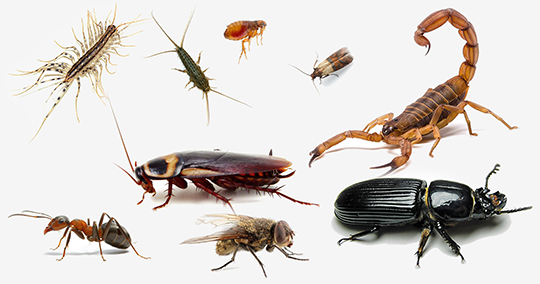 Bugs are gross, and nobody wants bugs in their home. Bug infestations are also a serious health hazard. They can carry dangerous pathogens. Bugs can bring germs and bacteria into your home. Some people think that pests will only survive in a dirty environment. Pests can live in dirty and clean spaces. Most homes and commercial buildings need routine pest control services. 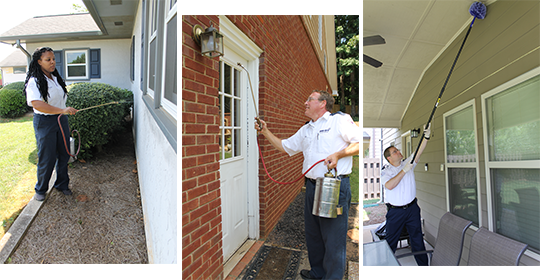 Our company is dedicated to preventing bug infestations, and our technicians will eliminate pests from your home. Our technicians can offer you routine and emergency pest control services. We can identify the underlying cause of the infestation, and we can help you prevent future occurrences. We offer reasonably priced pest control services. Pests can harm domestic animals. Bugs have an unpleasant odor, and decaying insects can attract vermin. If you run a company, an infestation can be a health code violation. An infestation will also damage your company's reputation. The wrong pest control removal method can be counterproductive. Ineffective methods will cause the pests to regroup and come back in larger numbers. A professional technician knows the most effective removal methods. 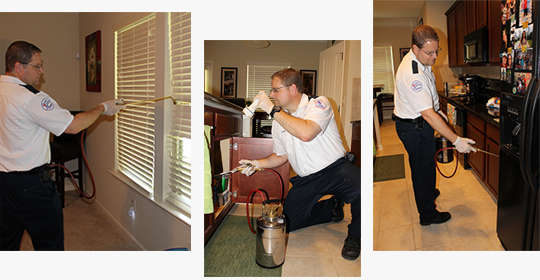 Our technicians can handle large and small infestations. From the first visit, you will see why our company is the right choice. Our technicians will always do a thorough inspection, and we will always use quality products. Our products will not harm people or animals. The residue will keep insects away from your property for several months. After the initial visit, you can schedule periodic inspections. Your home or commercial building will need pest removal services at least twice a year. If you do not schedule routine appointments, you might have another infestation at a later date. Bugs thrive in moist places. If you live in a warm climate, you might need pest control services on a more frequent basis. For more information on our pest control services in your area, give us a call. A friendly customer service agent can help you schedule a convenient appointment. Our professional pest control technicians can always answer your questions.